Like, ever? In recent memory? How far back into my gaming past am I going? I mean, there’s that time a video game character surprised me or my entire Hellblade: Senua’s Sacrifice experience. How can I possibly choose? Well, you know what that means. Here are three specific moments I really loved the first time I experienced them, and that have stuck in my memory, and floated to the surface the easiest. Beware spoilers for Metal Gear Solid 2: Sons of Liberty, The Legend of Zelda: Twilight Princess, and, although it’s not plot related, Dragon Age: Inquisition. I was so upset when I watched that big oil tanker sink with Snake on it. The first chapter of the game only lasted a few hours, and I remember being confused as to what would happen for “the rest of the game.” Was it really to be that short? Well, no, the game wasn’t that short. While most people bemoaned poor Raiden, I was too busy mourning my hero to care. Raiden was representative of Snake’s demise, and nothing more, in my mind. But then… Wait. Is that… is that him?? It is! 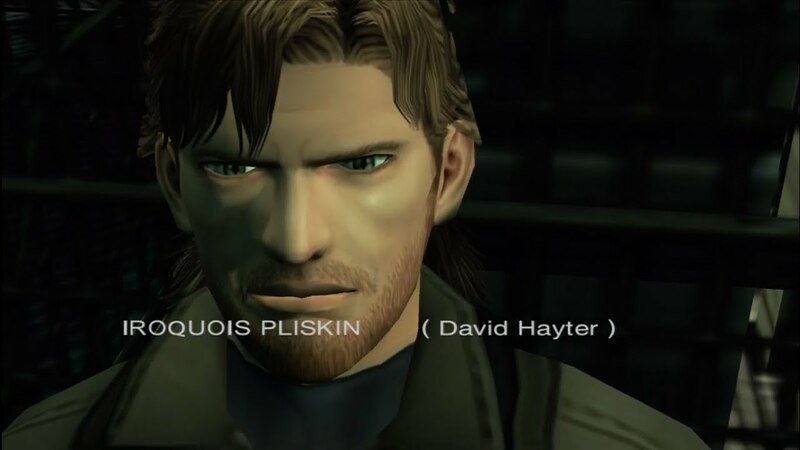 *squeaks excitedly* After the absolute horror with which I (thought I had) watched Snake drown, seeing “Iroquois Pliskin” show up was one of the most exciting moments I had experienced while gaming up until that point. Yes, Athena, there is a Solid Snake in the remainder of the game. Another head-fake. While the reveal of Midna as the beautiful Twilight Princess at the end of the game was surprising, and made me chuckle because she refers to Zelda as the twilight princess during the game, for me, again, the most surprising part was that the Light Spirits banded together to resurrect her (because, let’s face it, Ganondorf killed her). The unexpected saving of one of my favorite companion characters was pretty memorable, even if my happiness was cut short by the scene at the Mirror of Twilight. This one is totally stupid but makes me laugh each time I see it. There is a moment at the beginning of Inquisition when Cassandra and Leliana are speaking to the Herald of Andraste/Soon-To-Be-Inquisitor, and Cassandra mentions that a certain rumor about the Herald hasn’t been squashed. She sends a glare at Leliana, who simply looks at her, holds her gaze a moment, and then calmly resumes talking to the Herald like nothing happened. I think what I liked about it the most was that it was just so human of them, and small details like that really make me actively appreciate the work that goes into designing characters. What about you? What are some of your most memorable or favorite gaming moments? Let me know in the comments! But I realized recently it doesn’t include one of the best ones. Spoilers for the first Mass Effect incoming (if you haven’t played the original Mass Effect trilogy, go do that right now): you spend the entire game pursuing an enemy that, while interesting, seems like your generic every day Sci Fi bad guy, only to approach the end of the game and find out that the massive ship Saren was piloting wasn’t a ship at all, but a massive and incredibly powerful alien, part of a race bent on destroying life in the galaxy. It was such a cool reveal. I was so hooked on Mass Effect that after beating it I immediately started a new game and played through it again. I haven’t done that with any game, ever, but I did with Mass Effect. Piggybacking onto your comment, within that same moment is one of my favorite experiences. I loved that you were able to convince Saren he was wrong, skipping at least part of the final boss fight. Felt very appropriate for a game that placed a lot of importance on conversations in addition to combat. Yeah that’s one of the cool things about the different conversation options. Although it was easy to “mindlessly” click through a conversation based on whether it was your “paragon runthrough” or “renegade runthrough,” the idea of being able to talk yourself out of an otherwise deadly situation was absolutely awesome! That Mass Effect reveal was awesome, I’m not going to lie. The story of that first game was just so well done and thought out. I’ve definitely played it a few times, and I’m not surprised it grabbed your interest enough to restart it!! I think any moment a character survives in Dark Souls is magical haha. But seriously, I haven’t played Dark Souls, but I’ve heard that they are probably the toughest bosses to beat in the entire game, so I tip my hat to you! -The beginning of FFXIII. I met my soon-to-be shero fighting her way off the fate train. -The first time Link pulls the Master Sword and becomes an adult in Ocarina of Time. -The final battle with the Archdemon in DA Origins. -The first time I flew a plane in Diddy Kong Racing. -The duel with a certain Qunari in DAII to save a certain pirate BFF. This is such a BIG question, and I loved the answers you gave. I kind of spoiled MGS and Dragon Age, but it was worth it to read your favorite moments. I agree that that TP moment was wonderful, as was the Midna reveal that came after! Hmmm, for me…? Beating Bowser for the very first time in Super Mario World. This was memorable for me since SMW was the first game I’d ever beaten, and it took me months to get through it. Back in my wee days, I had a very stressful time trying to beat the Koopa Klown Kar for the first time, but once I got in the final hit, I literally jumped up, danced, and called all of my relatives telling them I beat the game. Oh, young me hahaha. The ending itself was meaningful to me, because it was the first time I had seen gaming credits plus SMW did this wonderful thing of displaying the names of every single enemy in the entire game in a character parade. It enhanced the moment so much more to learn the names of every enemy I had beaten to get there. Oh no! Sorry for the spoilers! That’s such a great memory 🙂 It was an accomplishment to beat a game!! I don’t blame you for calling everyone haha. I’m sure they thought it was cute 🙂 That’s really cool that the game acknowledged all of the “work” you put in to get to the end, too! That is a really tough question, but if I had to pick just one moment, then I’d choose the ending of Digital: A Love Story. It is not a flashy game or a particularly long one, but it forces you to engage with it in a way that you almost feel like it is real. Without spoiling too much, the ending is one of the few times a game made me cry, and it gave me a new perspective on many things. I’m intrigued now……… that sounds like quite a game/moment! It is a great game if you like ten-minutes-into-the-future science fiction, Shakespeare and early internet geekery! There is also the nostalgia factor, considering that exploring message boards is a big part of the game. That said, I feel like it is not a game for everyone and for some it would be entirely too corny (I’ll admit I am all for corny sentiment *shrugs*). Out of curiosity I just looked up the game’s creator later work, and apparently Digital has a sequel in the form of a visual novel. It is rather weird thinking about that, because for years I thought it was a stand-alone story and I was quite alright with that. The two that most pop for me are from Yoshi’s Island and Final Fantasy VIII. FFVIII was the first game I played with prerendered cutscenes, and I remember stopping and restarting the games several times over just to go through that Cinematic opening again and again. A real ‘video games can do that now? !’ moment for me. For Yoshi’s Island, it was the final battle. The game has a series of fantastic bosses, and when you get to the end against baby Bowser, the fight against him is just as creative as all the rest, but seems oddly simple. Then it turns out that was just the first stage of the fight. He gets magicked up, the stage is destroyed, and everything disappears. Then you hear some synthed steel guitar, and you see a skyscraper sized Bowser popping up in the background of your devastated level. The battle’s on, and you have to fight along a whole new plane now. I replayed the game very recently, and I still got chills from that. I don’t think I ever played Yoshi’s Island, but that sounds pretty intense! !